Discover more about Bergen, Gateway to the Fjords of Norway, and an ideal destination for meetings and incentives. 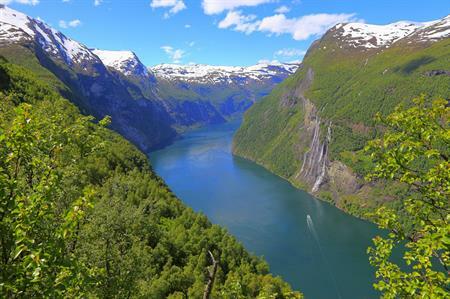 With its ideal location right in the heart of the Fjord Norway region, between the Hardangerfjord and the Sognefjord, Bergen is the perfect starting point for day trips to one of the world’s biggest scenic attractions – the fjords. Incentive activities are aplenty. Groups can go on a fjord cruise or dive into the experience with mountain and glacier hiking in the majestic mountain landscape, skiing in some of Norway’s best terrains, biking along the beautiful fjord arms or explore the wet element with white water rafting or fishing in the ocean along the beautiful coast line. Bergen is also an ideal place to organise big as well as small meetings. The city has developed itself into a meetings venue of international stature and accordingly has all the facilities for congresses, conferences and exhibitions. Our conference organisers have all the necessary professionalism, competence and experience to make you feel confident and relaxed.